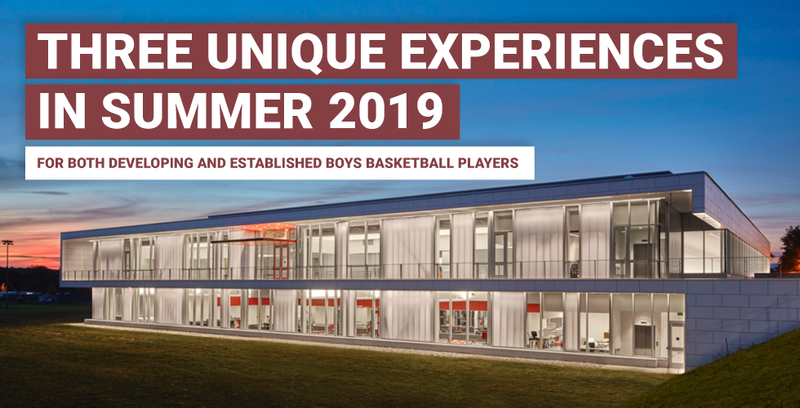 University Sports Camps is thrilled to offer three unique experiences in Summer 2019 for both developing and established boys basketball players at the University of Massachusetts, Amherst! All camps will be led by UMass Head Coach Matt McCall, utilizing experiences throughout his coaching career to strengthen skills, teach drills and develop techniques to advance player development & team chemistry. All camps will take place at the Champions Center, the practice and training facilities for the UMass Men's and Women's Basketball teams. The first level includes two full-size basketball courts and five smaller practice courts. An entry foyer, complete with a VIP lounge and balcony, overlooks the practice courts below. The Champions Center is located adjacent to the Mullins Center and connected to the main arena via an enclosed walkway.